How do you ride on ramps of a highway? Re: How do you ride on ramps of a highway? Make sure your tires are warmed up! Had to stop by Pasadena on the way home yesterday, saw those ramps on the 110, I was dying. Such a joke. Wood love to see pics of Trav dragging knees. Were you not around for any of the gap trips? I can drag my knee on a straight stretch. I am not the quickest person around though. 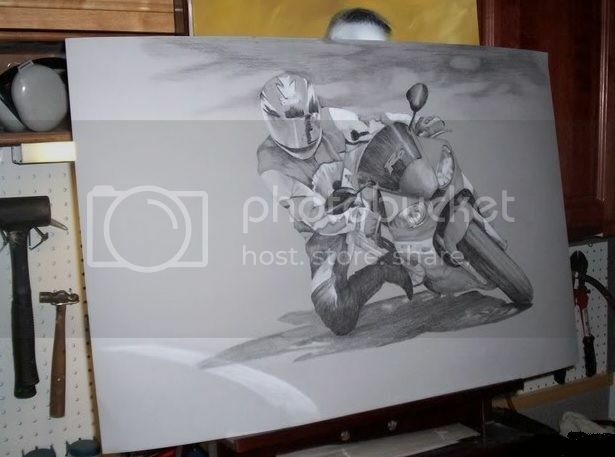 I generally run in the middle or top of the pack on an intermediate track day on a 600. 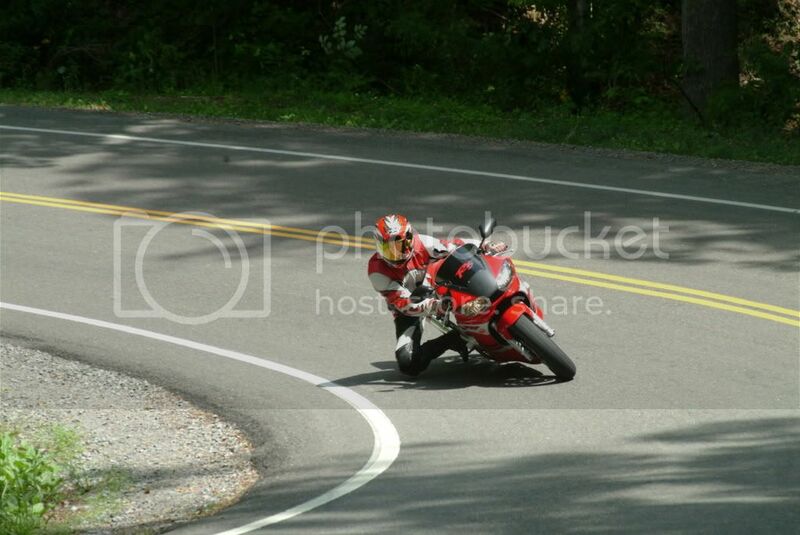 This is the only picture I can find of me on a moving motorcycle anywhere near a curve. I never have my picture taken anywhere. I hate having my picture taken.